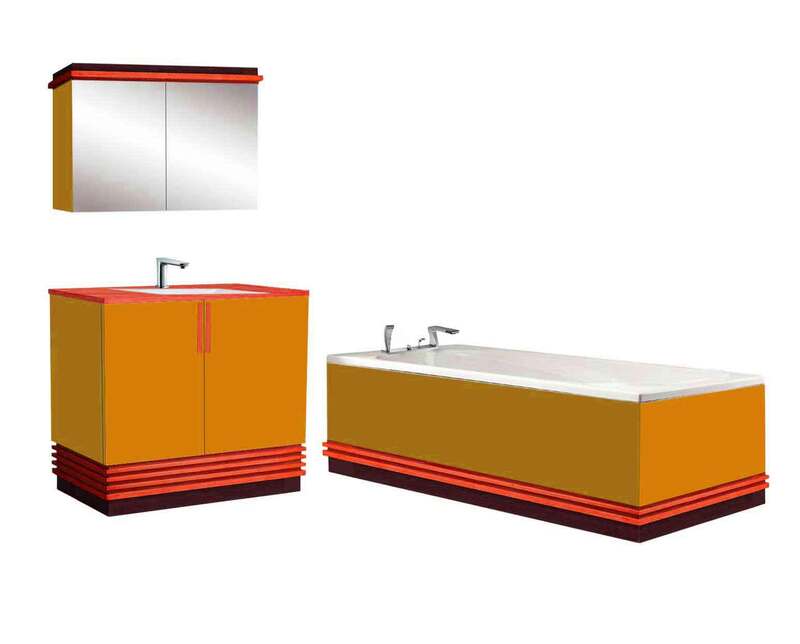 This is a stunning Streamlined Art Deco bathroom with a very strong graphic look. 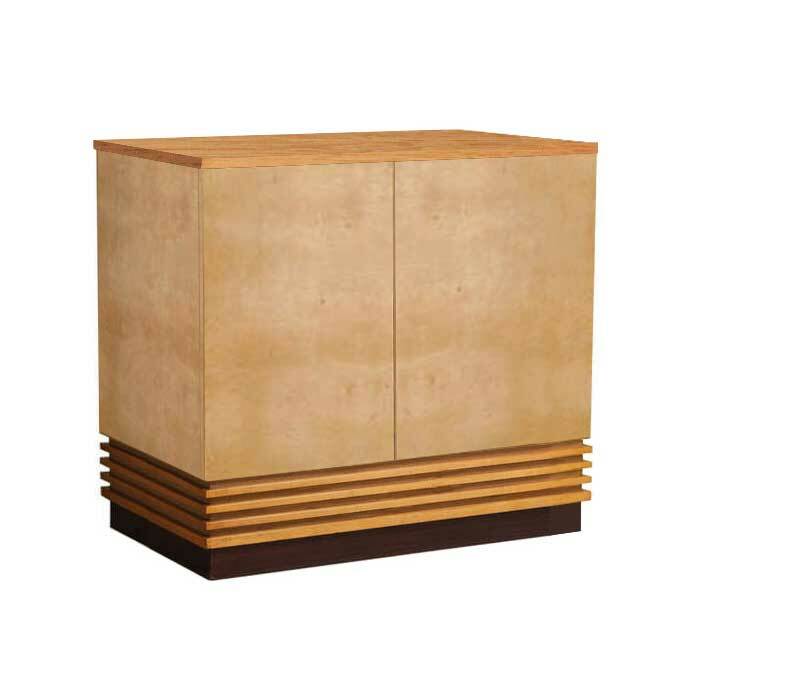 It has the boxy shapes typical of much Deco furniture, but the Streamline bandings really give it visual impact. These pieces can be adapted & made to whatever size bathroom you have, & could be integrated further into built-in units. When you've studied enough Art Deco bathrooms you realise black & white themed bathrooms are few & far between, most of them used rich colour schemes; so we used some of these colour schemes in this suite. Of course you can have wood finishes as well, & shown below are a couple of examples. The vanity unit is the focal point of the bathroom, hence the most speedlines. The speedlines are further emphasised in another colour. 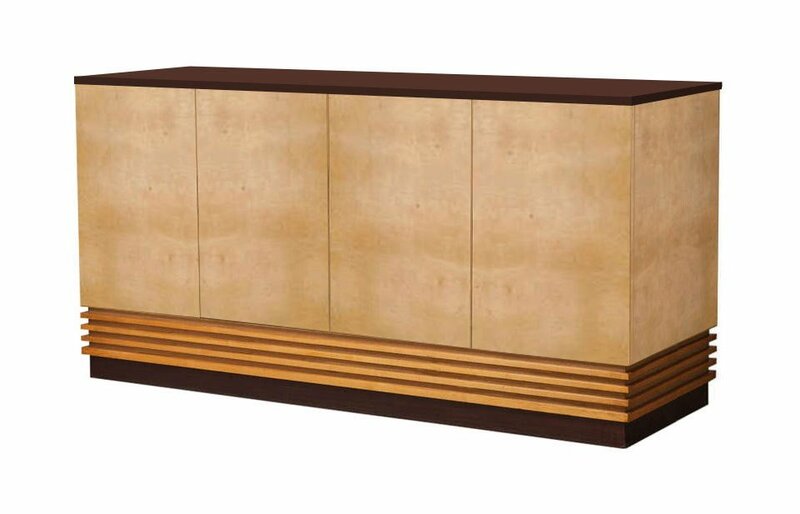 This can be made as a 2, 3 or 4 door door vanity depending on your preferences & bathroom size. We can plan the bathroom for you if you give us sizes. The vanity has an internal shelf & removeable back panel for routing pipework. Shown below are some further eamples showing different design, finish & colour combinations. They really offer a wonderful Deco statement. You can have a choice of worktops, from granite, marble, quartz, Corian, wood, glass, etc.. Made to order. We design & make bathroom furniture, we don't make baths, sinks, taps, etc. although we can supply them. 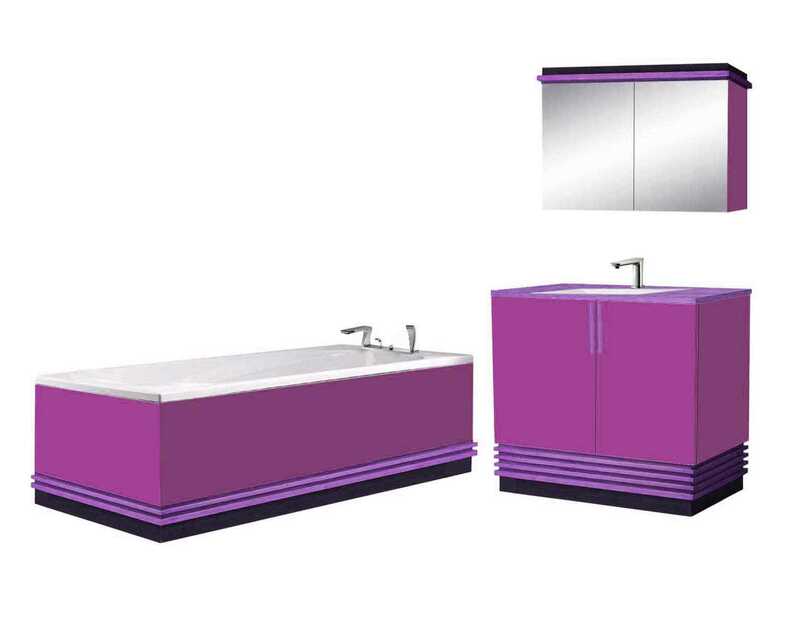 Therefore we show bathroom designs like this as cut-out's on a white background to showcase the furniture. You can imagine your own tiling preferences from this. It is these bathroom pieces of furniture that establish the Deco look of the bathroom, not the WC, basin, towel rail, shower, etc.. We don't give out sizes until discussed with a client & the final spec has been agreed. Bear in mind bespoke stylish designs are considerably more expensive than off the shelf standard furniture, but thats why you're looking here rather than at standard units websites! The above 2 & 4 door vanity units are shown in a wood / veneer finish, which is quite different to the above painted designs. They really look quite elegant & sophisticated. You also have a 3 door version. While the vanities above were shown with handles, these are shown handlesless, on push catches, for a cleaner look. Lacquered finish. Made to order.